According to insiders, Ewald Nowotny will be re-elected as governor of Austrian National Bank (OeNB). 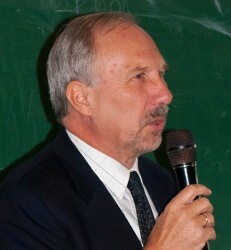 Nowotny became governor of OeNB in September 2008. Now, the economist and former CEO of Bawag is expected to be re-elected. However, Nowotny is said to resign prematurely. Nowotny´s successor may be the former ECB board member Gertrude Tumpel-Gugerell. This article includes a total of 103 words.